JOB DESCRIPTION: Deal cards in an honest, accurate and professional manner to Table Games Guests. Performs dealing services at assigned tables to gaming Guests in accordance with established policies and procedures. Provides prompt, courteous and accurate dealing at assigned table. Maintains a continuous inspection of cards, ensuring the security of assigned games at all times. Exchanges guests' currency for gaming chips and deposit currency in drop box. Provides guests with assistance to ensure adherence to established rules, policies and procedures. Keeps Floor Supervisors aware of any unusual play, i.e., bet swings, possible cheats, etc. Follows without question any instructions given by supervisors. Enforces table rules and limits. Entertains guests while enforcing policies and procedures. Must pass Leech Lake Gaming approved Dealer’s Training Course; or provide documented verification of equivalent training. Pleasant personality and excellent guest services. Able to endure positioning and standing for long periods of time which could cause stress to mental concentration. Able to withstand positioning which can cause stress to various parts of the body. Knowledge of State Gaming Compact, Leech Lake Gaming Internal Controls and Casino house rules. Physically capable of remaining on feet for long periods of time. 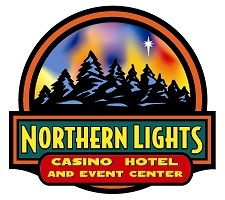 785 Table Games Dealer in White Oak Casino, Deer River, Mn. 345 Table Games Shift Supervisor in Palace Casino & Hotel, Cass Lake, Mn. 785 Table Games Dealer in Palace Casino & Hotel, Cass Lake, Mn.